[tweetmeme]If you want your business to thrive and grow, you need to be actively marketing the business. Marketing is not a one-off thing that you can do once and forget about it. To really become successful, you must integrate your marketing plan into your daily, weekly, and monthly to-do list. 1. Provide quality products at competitive prices. The first rule of thumb is to make sure that the products or services that you offer are of good quality. No amount of marketing can hide an inferior product. They don’t need to be the cheapest in the market, but also make sure that you are not pricing yourself out of the market. 2. Spend time every day marketing your business. Dedicate at least an hour or two marketing your business and reaching out to customers. Make sure that you engage in at least one marketing activity every day. Marketing should be a daily effort. 3. Set specific goals for your marketing efforts. Your marketing goals will set the tone and direction of your marketing strategies. Make your goals realistic, actionable, with clear timelines. Review them on a regular basis, whether quarterly or annually. 4. Set a budget for your marketing efforts. First, outline your marketing and promotional plans for the year, making sure that you have target returns on investments for these campaigns and clear ideas on what you want to achieve. Then decide on how much you will spend for your marketing campaigns. It can be a percentage of your annual gross income or based on the estimated ROIs. 5. Make it easy for customers to do business with you. Pay attention to the customer experience. Make the transaction hassle free. The easier and more convenient you can make it to do business with you, the better the chance you’ll turn people into loyal, longtime customers. 6. Showcase the benefits of your products or services. Whether in your ad copy, website, or other marketing campaigns, focus on telling how your products can address the customers’ needs and wants. Tell them what benefit they can get from becoming your customer. If you get a testimonial from other customers, use it as this is a proof that your products work and customers actually love it. 7. Bring a business card with you all the time. You just never know sometimes if a networking opportunity pops up. You can be riding the subway or buying coffee at Starbucks, and start talking to another business person or target clientele. Also make sure that you’ve got enough cards when you are in a conference, attending a business networking event or party. 8. Be open to new marketing strategies. A great example is social media. If you are still not on board, it’s ok. 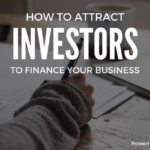 But don’t dismiss it immediately without even knowing how it can really benefit your business. Tough times require changes to existing strategies. Just because something is so new doesn’t mean it won’t work. Learn about these new strategies, try and experiment to see how it can impact your business. People like to buy from others they know and trust. A cornerstone of your marketing plan should be to help your target market get to know you and trust you. Think of ways to entice your existing customers to refer your business. It can be an incentive program to help customers refer their friends to you, or a simple tool like Facebook’s Like This button on your content. 10. Keep a notebook for your marketing ideas. You may be reading the magazine, surfing the Web, or just sitting on a park bench when new ideas hit you. Jot them down in a notebook. You may not act on them now, but they could be useful reference later on. Quiz: What Type of Networker Are You? How Effective are Your Sales and Marketing Funnels? Finding Cross-Marketing Partners: Is It as Easy-Breezy as It’s Made Out to Be? Thank you for all those marketing basics. I am certain they will help us especially the newcomers to this game. Well, it’s not really a game but serious business. My only hope is that I can follow all those with the time allotment I have – just eight hours a day.